Newsbytes: The 'Climate Reparations Game' – Poor Countries Walk Out Of UN Climate Summit | Watts Up With That? The IPCC, despite the fact that it has made some missteps in the past, is exactly the sort of institution for providing scientific advice to help evaluate conflicting and uncertain empirical claims. In the case of loss and damage from extreme events, the evidence is extremely strong. There is at present no evidentiary basis to support demands for reparations. I would say “hoisted by their own petards.” After years and years of bleating about the dangers of climate change, Western leaders act shocked when asked to pay up. Contrary to political opinion I believe we are entering a period of global cooling. Reminds me of the divorce agreement that my ex tried to get me to sign. I was responsible for ALL costs associated with the children’s education (which ignored the college savings plan we had created), with no input as to where and when they went to college! But I suspect eventually the idiots will actually get the west to sign such a stupid open ended agreement. So when it is shown that rising carbon dioxide is actually making tropical cyclones less frequent, will the affected countries pay huge sums to the producers of carbon dioxide for all the storms they didn’t get? Did they at least get reimbursed for their travel cost? UnfrozenCavemanMD: Your “Climate Alarmist Bingo” game is great. Maybe those who walked out are visiting all of the coal-fired this and that, looking for ideas. No one is responsible for something they aren’t causing. Can’t blame the countries that are looking for a handout to go somewhere else where they actually do get financial aid in their hands, can we? Do “poor nations” accept ANY responsibility for the fact that they have not taken sufficient actions to do the one thing that actually reduces the harms from adverse weather regardless of the cause– ie the construction and maintenance of robust infrastructure??? Most of these nations are much older than the USA. How are we responsible for the fact that their nation is so corrupt that they have not addressed this critical issue. One CO2 damage estimate being tossed about this week is that Africa will suffer from $350B per year in climate damage by 2070. But, of course, there is no discussion of CO2 benefits. By 2050, some estimates have Africa’s population at 2.4B people. By some estimates, current CO2 levels have helped improve agricultural yields by up to 15%. By 2050, at least a 10% improvement in food crops is likely to be attributable to anthro CO2 emissions. That means that by 2050, about 240 Million Africans will be fed by anthropogenic CO2 emissions. Using the EPA-blessed value of a human life of $10M, and an average life expectancy of 100 years, the benefits of anthro CO2 emissions in 2050 will be around (240M)*($10M)/(100 years) = $24T per year. That is more than 100 times the estimated costs. This does not include the energy and material benefits from anthro CO2 emissions. If they walked out, so be it. Let them stay out. Sort of like my kids holding their breath until they got what they wanted. I could out wait them. I have no problems with someone who feels guilty about the climate paying reparations as long as they write the check from their personal funds. The trouble is these folks want to reach into others’ pockets for the cash. It’s just a continuation of the financial demands from wealthy countries which have been in the UNFCCC and Kyoto Protocol documents. Some of the wealthy politicians have blamed themselves for bad weather, so everybody else is too glad to demand payments. Maybe the West can also share their debt with these impoverished countries. I understand that combined individual and government debt world-wide is currently around $170 Trillion! Compare that with the US GDP of ~$17 Trillion, which contributes about one-fourth of the world’s total productivity. And people wonder why some economists believe the world is on the edge of an imminent (and unavoidable) economic collapse. Then all nations will be Banana Republics, so we can ALL walk out of forums like this UN Climate thingy. The EU Commissioners are among the most dangerous people on earth. Over many years of negotiating with flaccid European sovereign governments they have succeeded in removing their actions from democratic oversight. So now, it doesn’t MATTER what the voters want or, indeed, who they elect – because between %0-60% of all laws in sovereign countries are now made by the EU. The EC is the only body that can put forward a law to be debated by the European Parliament – so democracy has been put at naught and the Commissioners cannot be removed because they are outwith democratic processes. If they say that 20% of the EU budget will be spent on climate change it WILL be spent in this way. By the way, some €8 billion of hard-earned taxpayers money has been ‘mis-spent’ by the EU in the last year according to auditors. Connie Hedupheraaarse, Baroness Ashton and Manuel Barroso are hideous examples of what can happen when the ordinary man and woman in the street are deliberately sidelined. The political and financial corruption is on a breathtaking scale. This is why WUWT and other heroic blogs are so important – they consistently report those awkward facts and honest science that make it impossible for career political criminals to have it all their own way. This gives us hope. And there is more hope – this time, a warning from history. Benito Mussolini and Nicolae Ceausescu both thought they could steamroller over the will of the common people. And look what happened to them. Surely by this time there is a politician who matters, and who WANTS to believe that CAGW is a hoax. Then this whole nonsense could just disappear.. The idea of charging for the weather is beyond folly. The plain reality is that AGW is about money. Charging for weather is not really very different than medieval witch trials where animals were be tried for being magically responsible for droughts or floodds or bad crops. Surely even the EU isn’t crazy enough to throw away 20% of its overall budget on this? I fail to see how any organisation- publicly funded or not – can survive a 20% investment of its income in this insanity. Karl Popper wrote The Logic of Scientific Discovery that drew a boundary line demarcating science from non-science — and that is ignored. Popper wrote The Open Society and Its Enemies illustrating the effects of tribalism — and that is ignored. Popper wrote The Poverty of Historicism — and that is ignored. Let’em stew in their own juices. Well Cliff, welcome to the club! I agree, I can see western governments instructing their Scientists to suddenly come up with some forgotten/hidden/new science to disprove UN IPCC science that AGW exists or is any way a problem, thus absolving them of any need to compensate nations affected by natural disasters. Don’t be silly the eu will just up the taxes of everybody in the eu, they have total control and immunity from their decisions. You only have to look at the decisions/laws they have made over the last ten years to see that. Love the McCoy political satire cartoon! Well, they had to leave the grand climate meeting with some kind of resolution. Looks like the resolution is to disagree; thousands of people using expensive travel fees… boooondoggle! This is a bonanza for the global warmists crowd – yet another reason to feel guilty. When you’re masochist , you welcome all the whips you can find. I am an attorney representing the extinct Neanderthal species. The facts are “irrefutable” that Cro-Magnon was to blame for their extinction. Thus, as all of you are descendants of Cro-Magnon, reperations are due. Summons will be appearing in your mailbox soon. I simply hope that they stay out. Well, tough! This is what happens when they want Global Socialism, over-rule & trample upon democracy, with unelected, undemocratic, unaccountable & unsackable EU Commissioners!! !al They started it all with their arrogant self-righteous posturing, just as we have an overstrained benefits system in the UK, the Global Community are looking at the $$$$$ signs, now of course, the corrupt ruling people in developing countries aren’t stupid, they no a scam when they see one & you can’t scam a scammer. They realise they can milk it for all it’s worth – literally!!! As I have said so many times, all this wealth-transfer malarkey will do is tax poor people in rich countries, & dole it out to rich people in poor countries! If memory serves, the 2009 Copenhagen Jamborie failed primarily not due to rich countries failing to agree something or anything, it failed because the poor countries didn’t want to sign up to a verification system that would identify where the money went & what it was spent on, always a sign of skulduggery slight of hand!!!! So this means that if ‘the rain in Spain’ doesn’t fall ‘mainly in the plain’, the US has to give the Spanish money? Woo-hoo, my ship has finally come in! For years my ex has claimed I’m the sole surviving Neanderthal. And that means after Bernie takes his 1/3rd, I get what’s left! So let me think. Given India’s and China’s increasing CO2 output, I’d say that in about 10 years they will have put more CO2 into the atmosphere than the developed nations have combined since 1850. At that point I think the ‘undeveloped’ nations should be knocking on India’s and China’s door for ‘climate reparations’. Wonder how China and India will react to that? Slowly I have feeeling the world becomes absolutely absurd. The capos of the poor, they make poor and which without any doubt want be rich and benefit from the civilization, want the rich to pay them besides for their poor imitations and ethnic knicks-knacks also additional money besides all that stollen international aid by the very capos, a compensation for non-existing anthropogenic warming, moreover arguably for the very existing CO2 fertilization of their land. And the rich even sing their song they help write the absurd text for as long as the paytime approaches too much. This looks the whole CAGW absurdity ultimately moved into level of its second power. At least the good Sun maybe inspired by the Gore-effect couldn’t stand it and will continue to give them the cool lesson most likely for rest of their poor lives. I like the part that the Aussies weren’t ‘serious’ because they had the audacity to ‘consume snack food’ while the talks were going on. Presumably the ‘snack food’ was provided at the conference room and the Aussies didn’t bring their own. How dare they? China: Are the Western leaders really as dumb as they appear? Historically, wealthy countries like the USA and Europe have been quite generous when it comes to providing relief for natural disasters that arise in poorer countries. But now guarantees are being demanded. It seems the entitlement mentality has reached epidemic proportions the world over with nation states demonstrating the same spoiled brat behaviors as the individual freeloaders. It must hurt the poor, to be told than billions of dollars have been successfully stolen from taxpayers by the National Kleptocracies, in their name. Yet when they hope for some benefit of the fraud they are being used as the face of…”sorry suckers”.. Such is the nature of dishonesty, by using the worlds poor,the environment and “mother” earth to promote theft, public backlash results in distain for any who attempt to raise money or support for any real initiatives on these concerns. CAGW seems to mean, kill the poor, kill the trees and saturate the deltas. nice list, Bono should be on…. The politicians in the developed countries have an easy way out. They will soon see that the earth is cooling, it will be impossible to hide, and will then be able to blame the UN and the NGOs for giving them bad advice. It won’t be their fault that they didn’t check the facts carefully enough. As it will then be clear that climate swings are not man made, no money will be due. Budget saved, politicians move on, NGOs look for another way to source funding. Maybe the developing world will then be allowed to borrow money to develop their own hydrocarbons without being forced to use CCS. and that Boomtown Rats bloke, forgotten his name. Can I join your class-action lawsuit? Oh – and the oil companies for failing to send me their cheque. Given how much the Warsaw conference has likely cost, maybe add all the politicians from the poor non-developed countrues who have the Swiss bank accounts. Their people are suffering from climate change while they live in climate controlled luxury. The demand has created another deep fault line in the divided negotiations, for rich nations see it as a potential trap . . . .
China should pay reparations first to Europe for damages done by the Little Ice Age, which was either caused by the Song Dynasty industrial revolution or not. But wasn’t China pumping out the most CO2 when the Philippines got hit? What % of our atmosphere is CO2? We’re not going to give you (poor countries) any money (to fight climate change) and now we’re not going to tell you (that we’re not giving you any money) until after 2015. Or the more politically correct statement that “yes we are going to spend a lot of money on climate change. This money will be spent domestically because we have the responsibility to clean up our own mess first”. Probably not what the poor countries signed up for. It must be remembered that what was done as a favor many times will eventually turn into a duty. Now who in their right mind would consider Kuwait a developing country….and actually give them more money? …naming the following as plaintiffs defendants:…. Don’t let the door hitya where the Good Lord splitya! Let me rephrase that for ya. If people want to get paid for weather events then just say so. Why the dishonesty? Hey, first you have to show it was caused by ‘climate change’ / aka Catastrophic Anthropogenic Global Warming. Who is the judge? This is going to be interesting. Moonbat (aka George Monbiot), Greepeace, WWF, Royal Society………any other? Since the science is apparently settled, why not take all the money currently spent on climate research and use for the Catastrophic Climate Carbon Disaster Fund? If we’re going to spend taxpayer money on this, why not actually spend it on something beneficial? Is there any doubt left in anyone’s mind that this is truly about redistribution of wealth? Anyone? As debt attributed to the so called wealthy nations extends to trillions where precisely do these undeveloped nations believe this money is coming from? The UK has debt of £1.3 trillion and rising by about £100+ billion each year with no sign of any real reduction whilst political parties compete to make one or the other sector of society richer by just being there but not requiring any extra effort to lift themselves out of whatever poverty trap the hand wringing lunatic fringe might want to persuade us is more deserving than any other. Indonesia and Malaysia continue to rip out and burn rainforest to plan palm oil to profit from green dementia using palm oil for bio diesel and cheap fillers for biscuits and cosmetics and they continue to burn huge quantities of coal whilst at the same time saying “this can all be stopped now” presumably they mean everyone else on the planet has to curtail their economy in order for theirs to flourish. Yes of course its a disaster for those who are effected but I have not heard a single word by way of comparison with Fukushima where nearly 16,000 people lost their lives and I am not aware of a huge bailout for Japan or the same degree of OMG. Developing countries are just look for another way to get their grubby hands or more of someone elses cash and that is the original intent of the IPCC, Maurice Strong wanted to destroy the developed world in order to even out resources across the planet conveniently forgetting that if the developed world became distressed and bankrupt precisely how would these resources or extra cash be found and distributed. Obama is a fool but unless he was prepared to accept democrat party dogma and doctrine then he was never going to be selected to run for president, politicians put in place people who will tell them what they want to hear and the EU is exactly the same. Connie Hedegaard will spend Euros 165 billion each year until 2100 with the hopeful expectation of reducing global temperate by 5 hundredths of 1 degree saying that if the science is wrong then the money will still be well spent, is that right. Correct me if I am wrong and I prefer to be a realist than either optimist or pessimist but our very existence is totally reliant upon finite natural resources and wasting trillions on trying to fight AGW which does not exist will involve horrendous waste of valuable finite resources which can never be recovered or replaced. On both sides of the argument the focus is about who is right or wrong not about resolving the issue that we cannot in all conscience continue to waste resources as though they were infinite not finite. One day stuff will expire when that will be who knows but it will happen you cannot make something of nothing that is a fact and its about time this simple truth was brought into the argument because it is more valid than trying to define what the temperature should or should not be or what might or might not be causing it, dancing on the head of a pin is not the solution the planet needs. 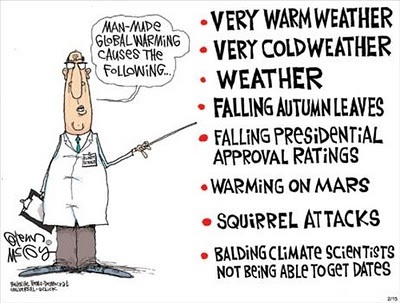 Since none of the requisite predicted warming disasters are occurring or in prospect outside of the models, every (increasingly rare) weather “disaster” is being seized on and squoze mercilessly. But this transparent sham is losing its mojo. Typhoons are to the Philippines, like tornadoes are to the Central Plains. Perfectly situated to maximize the number of impacts. “Guaranteed Aid” will guarantee maximum loss of life, and property when typhoons hit. It would subsidize the development of areas that are vulnerable to typhoons and repeatedly hit. Assuming any money was left over after the bureaucrats took their cut. Because there is no “Carbon Disaster”. The fund is and should be empty until one is found. Not a cent spent on the Climate achieves anything. It is pure waste. Heads up to voters; politicians will spend your country into ruin fighting a made up crisis. 1. There is no CAGW problem. The planet resists (by increasing or decreasing cloud cover in the tropics) rather than amplifies forcing changes. 2. Japan, the southern EU countries, the US, UK, and Canada are facing economic collapse, if spending is not brought into line with revenue. The number one problem for developed countries is structural issues (reasons why good jobs are disappearing) and budget deficits. 3. Green scams do not work. For example, green scams have tripled the cost of electricity in Germany for very little benefit. If CAGW was a problem which it is not nuclear power is the only solution. 4. 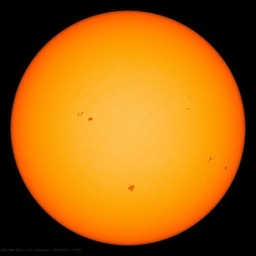 The planet is going to cool due to solar magnetic cycle interruption. Surely the Scottish verdict of Not Proven would be applicable in most cases. Question to American Liberals, if there are any around: What do you hope to achieve by collapsing the American economy? Where’s your gain in the Cloward-Piven plan? Because I agree that the collapse will work out as planned; I just don’t understand how even an American liberal could want it. No, it shouldn’t be discussed at all. Not now, not after 2015, not ever. End this annual IPCC rubbish. Let them find another reason to get paid for sipping martinis by the pool. If the delegates had to pay for these summits themselves, they’d come to an end in a hurry. Maybe now the politicians realize it is time to switch climate funding to [researchers] looking for benefits of CO2. I belive it might only take five years before there are [consensus] that CO2 in reality is beneficial. Please give us a golden umbrella so you can feel less guilty about being successful. Thanks! American private charitable giving to poor nations (2003), at $62 billion, over 3 1/2 times U.S. government aid. We have been “developing” these places for decades. And they want more (mostly for their socialist “dictatorship of the elite” (F. Hayek) to squander). @ Third world people: Try free markets (instead of hand-outs to the crippled). And, @ the U. N. and E. U.: Dissolve now. They walked? Quelle surprise! Face it, the only reason they were there to begin with was the money. They knew a money train when they saw one. Climate schmimate. It’s all about the dough. Who gets it, how much, when, and who pays. The 16,000 lost their lives in the Tsunami, not at Fukushima. Call me a cynic, but this development is likely to force western governments to fund some ‘alternative’ climate studies to, lets say make the issue ‘more cloudy’. “Am I reading this right? Who says they’ll throw it away? It is a giant slush fund. Fund some renewables contraption somewhere in the bankrupt parts of the EU; give money to farmers for biofuel to buy votes; give money to homeowners for insulation to buy votes, maybe fund fracking (less CO2 than coal); maybe fund nuclear, and of course, lots of graft and black budgets (some spooks). Nearly anything goes as long as you can show it helps the climate; the flimsiest explanation suffices; climate science standards apply. And don’t confuse the EU budget with the sum of the budgets of the slave territories – ahem, member states. All EU states have ultra bloated public sectors; at least 50 % of the entire EU GDP feeds those monsters. The 30 bn per year that the EU commission will use as slush fund against climate change is just 60 EUR or so per EU citizen and year; or 100 USD; the cost of the member state public sectors per citizen are on the order of 20,000 EUR a year or 28000 USD. Every tax dollar is used against you. Just stop paying your Government a single dime. If they’re starved from money the entire scam stops out of it’s own. I applaud the fact that Poland timed its reshuffle for during the talks – sending their second clear message of disapproval and giving an extra slap in the face to the alarmists and eco-terrorists. Well done, Poland! Such claims for reparations are actual a good thing , why because there is no chance in hell of any politician that wants to get re elected , and all that have to want to, doing so if they agree . We should actual encourage this behaviour from these countries, for as the saying goes, never stop your enemy from shooting themselves in the foot. You have clearly illustrated why I never passed a bar exam. Yes, once in a while I can have a, Duh moment. Best wishes. Hi Janice. They always overlook charitable giving in favor of government (i.e. unaccountable taxpayer funded) aid. My guess is that charitable aid is more likely (unfortunately oftentimes with a big chunk taken out for administrative costs) to go to the genuine needy whereas government aid permits all sorts of opportunities for the unscrupulous to milk the system. Assuming the rich nations are stupid enough to cough up, can you imagine the size of the bureaucracies that would need to be created? No that’s wrong – replace ‘need to be’ with ‘will be’ – the latter is a large multiple of the former. And don’t forget to shed a tear or two for all the Swiss bankers who are literally going to be rolling in all this money. Quite. You could also be sure that any ‘reparations’ paid would, in many countries, find their way to the personal bank accounts of those same corrupt officials and leaders who have done nothing to help protect their populations from severe weather. Well, there you have it. I always said the AGW/Climate Change/etc was a wealth transfer scheme. Now the wealth transfer is NOW openly debated as the central artifact of the UN initiatives. When the amount of wealth to be transferred is not enough, then the intended recipients walk out. Good? Yes Good!!! Keep walking ya sponges! It was never about environmental matters. It was always about getting money. “Guaranteed Aid” will guarantee maximum loss of life, and property when typhoons hit. If the government paid money to one-eyed, one-armed, one-legged people, within a generation 20% of the population would have one eye, one arm and one leg. I knew a long time ago all that “foreign” aid was nothing more then a doorway asking for trouble. Sending money to any of the “third” world nations is a loosing proposition and always has. Moreover, where did this idea that rich nations are the rest of the world’s piggy bank to decide as they will? We are responsible for the the physical boundaries inside our own nations, of which ALL rich nations are deeply in debt as it stand. How any sane nation can support the UN is insanity at best – the UN is the single most corrupt organization on this planet. You have to be a raving lunatic not to know that, or take steps to get out of that monstrosity. Re: bar exam (assuming you attempted to pass one) — From your posts (and I’ve read quite a few by now! ), you did not fail to pass because of a lack of intelligence. I know from highly informed sources that MOST if not all of those who fail the bar exam do so out of test taking anxiety — and that– is– all. It was, in my opinion (not yours, if I recall correctly) a shutting of a door by God to make sure you ended up on a different path, the one He had planned for you. Such times are painful, but, I am grateful for them — later — (heh, much later, usually…). “Climate shmimate” (Bruce Cobb 11:59pm) — LOL. I always enjoy your posts, Mr. Cobb. You have a terrific sense of humor. The vomit inducing hubris is despicable. The devastation in Philippines was caused by greed, corruption and incompetence. From the first bleat about, remote, difficult, lack of communication, the sad excuses rolled out. It is debatable which of these truly depressing spectacles constitutes the greatest ambit claim in history. And it should forever be proportional! We really need more climate scientists and scientists in related fields, as well as universities, who do not believe in AGW, and that we are not causing damaging storms etc., TO SPEAK UP!! Their level-headed opinions, views, and scientific research and data must be diseminated to the mainstream media, to halt the false and damaging climate change bandwagon. How far back was it we were ‘poor’, comprised of only 13 colonies to begin with? Accepting help from a few European countries during a fight for independence? How come these other ‘countries’ (MANY existing on this earth with a different name perhaps for many years before ‘the colonies’) need so much CONTINUED help all these years yet to remain strongholds for 3rd world dictators? These Green Scams remind me of the old King Canute tale (Cnut,actually) Whose sycophants believed he could hold back the waves. The only diference is that, unlike our so-called leaders, Cnut actually knew how powerless he was against nature.